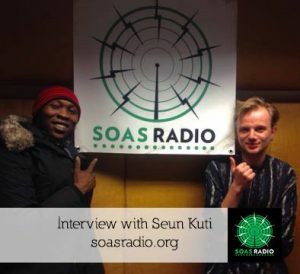 SOAS Radio was unbelievably glad to be hosting this musical legend, Seun Kuti, who is holding up the mantle of political afrobeat. Listen as Nick and Seun preview Seun’s soon to be released album Black Times, out on March 2nd, and talk some serious politics, such as corruption worldwide and also delve a little into Seun’s past. In this interview with the Yemeni-American photographer Yumna Al-Arashi we will speak about her upbringing and... Read more..